Opp. Enjaz Bank, Hail. K.S.A. 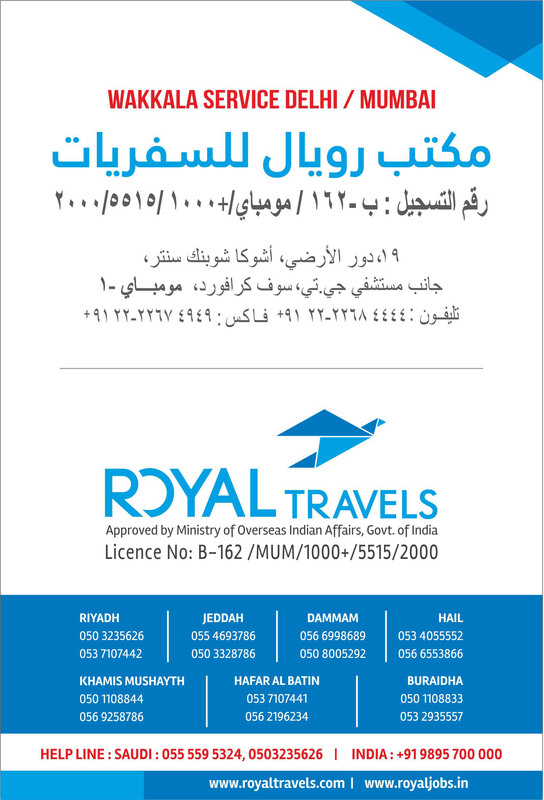 To know more about Royal Travels and its specialities, Click in the below button to download our details brochure. Reliable and secured recruitment services, connecting to the right personal- "Make your life Royal"